SFC met to discuss the effects on the state budget of hurricanes Katrina and Rita. Message from the House and reading and referral of bills. 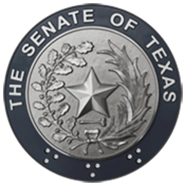 Regarding "Auto Burglary and Theft Prevention Authority"
Notice : Starting at 33:48 on this files time track the senate stands at ease until 02:04:45. NOTICE , this file is not available due to technical difficulties experienced during the hearing. Due to technical difficulties, the video begins with the hearing approximately 30 minutes already in progress.